How To Avoid Affiliate Marketing Mistakes? Today I would like to share my experience with you and avoid affiliate marketing mistakes that I made. 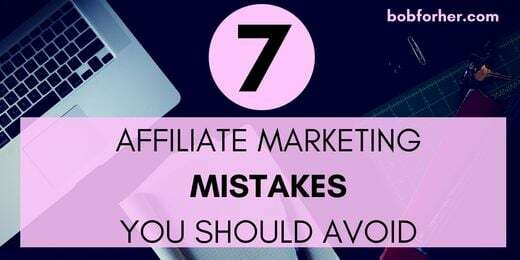 If you want to make money from your blog by promoting products and services, make sure you do not make these affiliate marketing mistakes. Affiliate marketing is an excellent way to generate passive income from your blog and email list. 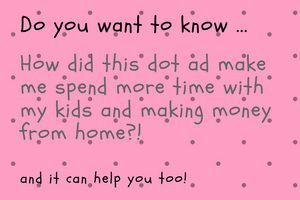 It`s more semi-passive income because you should always promote your links. However, you can earn by writing a single blog post that includes affiliate links. Many bloggers love this method because it is easy to start. Just sign up for affiliate programs, promote your links and earn a commission! But there are some things that you should keep in mind while venturing into affiliate marketing. So, how to avoid affiliate marketing mistakes? 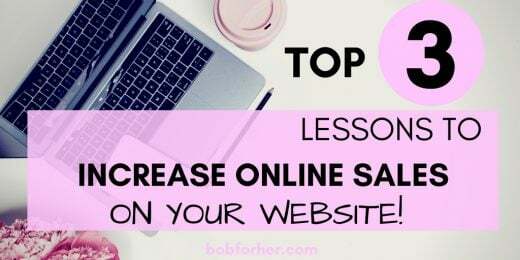 Once you’ve found a great affiliate product to promote, you may want to spend money to send a lot of traffic to your link or the publications to which your link has been added. However, if you are not careful, you will lose money with paid advertising. Start with free traffic methods like social networks. Share your links on Twitter, Facebook, and also Pinterest. Create excellent content around your affiliate links so users can click and buy according to their recommendations. The time you spend in free traffic will probably allow you to earn much more in the long run! Touching a topic while it’s hot is a good idea for traffic and even for affiliate income; it’s usually not a sustainable way to make money. As soon as the subject dies, its profits will decline as well. Blend trends with evergreen content (ideas that you could benefit from in the years to come) to organize fashions as they emerge and still have a substantial income leading to the rest! 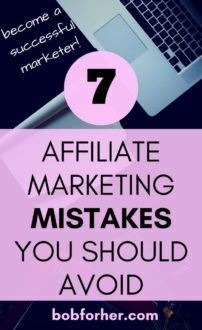 As discover the 7 most common affiliate marketing mistakes which bloggers make. You can make money if you avoid these traps! One of the biggest affiliate marketing mistakes you can make is promoting every single product you find. This is not how you will succeed! It is strongly recommended that you advertise only the products and services that you personally tried. In this way, you can create helpful tutorials as well as reviews on related products, and give your loyal followers the information they need to buy. An indication of promoting everything under the sun: it will be discovered soon. People will find that anything you blog or email is money rather than useful stuff! Give more than you take and always remember that quality is better than quantity. Many affiliate marketers do not know how important it is to create an email list. Having a list of loyal buyers, however, has the potential to increase your revenue with every email you send. Start a ConvertKit email list the day you get approval for affiliate programs. In this way, you will not leave any money on the table! Stay in touch with your subscribers at least once a week via email. Provide useful information about your niche and do not hesitate to include one or more affiliate links. Yes, I have seen this happened. Affiliate advertisers will lead their fans in the wrong direction just so they can promote an affiliate product or affiliate to solve their problems. It will not be long before someone calls you so smartly and your reputation could be ruined. This is one of the biggest affiliate marketing mistakes you want to avoid. Once your reputation is lost, you’ll have a hard time getting people to trust you again. Rule Number 1 In Affiliate Marketing is that you must Be Helpful your followers! When you link your affiliate actions to the things that happen in the world, your readers can become aware of the issues and present them as a useful problem solver. On the other hand, if you’ve just talked about what is elegant or comfortable clothing, it may not be enough for most people. It’s about connections and making your products seem essential. Affiliate marketers need to be real when promoting a product. Copying and pasting an e-mail provided by the creator of the product for use in promotions, does not favor you or your readers. Use that email glide path as a starting point, but be authentic and share your own experiences or thoughts about the product. Similar to the details of the product on the sales page, the reader can click and get this information. What they need from you are personal experiences and opinions. Did the product work as described? What was your favorite feature? 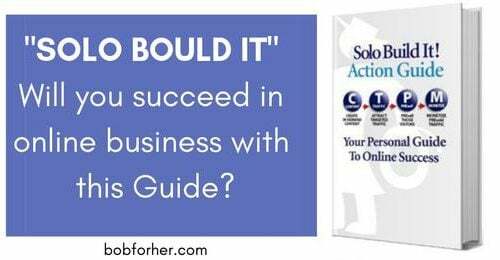 Indicate the details that a reader cannot get from the sales page! So I hope you will follow my advice and learn how to avoid Affiliate Marketing mistakes and succeed in your project to become a successful affiliate marketer. You can actually do it as you just avoid these mistakes that all affiliates make. Learn about Affiliate Promotion from a person making as much as $50, 000 a month using the Wealthy Affiliate training! If your intention is to ramp up your very own affiliate marketing success, make sure you take 100% FREE Wealthy Affiliate System right now. As we speak you can easily join a community of a large number of marketers that generated $ 5,000 – $ 100,000+ monthly, simply from affiliate marketing. This list is great – thanks very much for sharing it. If I had to add one more mistake to this list, it would be not promoting affiliate products enough. Unfortunately, a lot of people who are new to affiliate marketing adopt the softly-softly approach because they don’t want to upset or annoy their audience. This inevitably means that they end up making no sales as the odd promotional message here and there simply won’t cut it. Now I’m not saying that ramming promotional offers down your audience’s throats is the right way (as it definitely isn’t), but persistence and diversification pay off massively with affiliate marketing. That means you need to be promoting a product over the long-term and via as many different platforms as possible, as it takes quite a few instances of hearing about something before someone will be willing to purchase based on your recommendation. Thank you so much on your comment, Jonathan. I have the same attitude and need to change. A lot of people wrote to me that they love my site because it`s not annoying and they get a lot of useful info. But, I`m sure I can earn a little bit more with more “salesmen mind”. Really helpful tips! 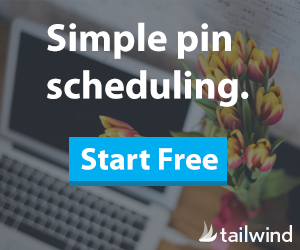 I’m curious, what do you think of pinning images on Pinterest that lead to affiliate links? Is that allowed (provided the image isn’t misleading) or does that risk angering anyone? Hi Jennifer, it is allowed, but I that case you will miss a great traffic to your site that you can have with Pinterest. It`s always better to build your site and traffic, then to send visitors to another website. You can always put affiliate links in your posts. Super useful as I’m just starting off with affiliate marketing. Love it! 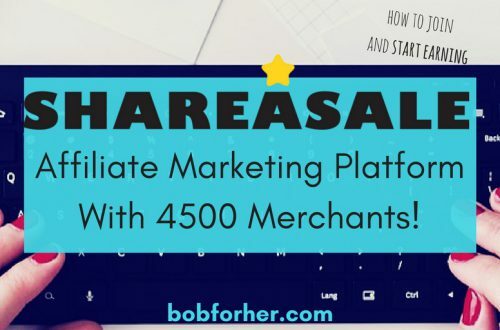 I haven’t started using affiliates on my blog yet, but when I do, I’ll watch out for these mistakes! Thanks for the info! It`s never to early to start with affiliate marketing on site. I`ll suggest you go through THIS FREE AFFILIATE TRAINING. Affiliate Marketing is covered in detail and you will get my personal support. 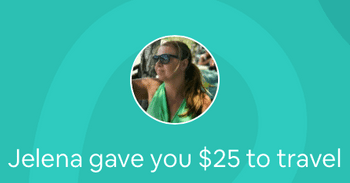 Great tips – I will be bookmarking this post for future reference!